Puppet agent runs as a specific user, (defaulting to LocalSystem) and initiates outbound connections on port 8140. If you want to use a non-default port, change the masterport setting on all agent nodes, and ensure that you’ve changed your Puppet master’s port as well. By default, Puppet agent runs as the LocalSystem user. This lets it manage the configuration of the entire system, but prevents it from accessing files on UNC shares. Puppet can also run as a different user. You can change the user in the Service Control Manager (SCM). To start the SCM, from the Start menu choose “Run…” and type Services.msc. You can also specify a different user when installing Puppet. To do this, install via the command line and specify the required MSI properties (PUPPET_AGENT_ACCOUNT_USER, PUPPET_AGENT_ACCOUNT_PASSWORD, and PUPPET_AGENT_ACCOUNT_DOMAIN). Puppet agent’s user can be a local or domain user. If this user isn’t already a local administrator, the Puppet installer adds it to the Administrators group. The installer also grants Logon as Service to the user. Run Puppet agent as a service. The easiest method. The Puppet agent service does configuration runs at a set interval, which can be configured. Since the Windows version of the Puppet agent service is much simpler than the *nix version, there’s no real performance to be gained by running Puppet as a scheduled task, but if you do want scheduled configuration runs, use the Windows service. By default, the Puppet installer configures Puppet agent to run as a Windows service and automatically starts it. No further action is needed. Puppet agent does configuration runs at a set interval. The Puppet agent service defaults to doing a configuration run every 30 minutes. If you don’t need an aggressive schedule of configuration runs, a longer run interval lets your Puppet master servers handle many more agent nodes. Once the run interval has been changed, the service sticks to the prior schedule for the next run and then switches to the new run interval for subsequent runs. The Puppet agent service defaults to starting automatically. If you’d rather start it manually or disable it, you can configure this during installation. To do this, install via the command line and specify the PUPPET_AGENT_STARTUP_MODE MSI property. You can also configure this after installation with the Service Control Manager (SCM). To start the SCM, choose “Run…” from the Start menu and type Services.msc. Important: The space after start= is mandatory! Also note that this must be run in cmd.exe; this command won’t work from PowerShell. Some sites prefer to only run Puppet agent on demand; others occasionally need to do an on-demand run. Puppet agent runs can be started locally while logged in to the target system, or remotely with MCollective. 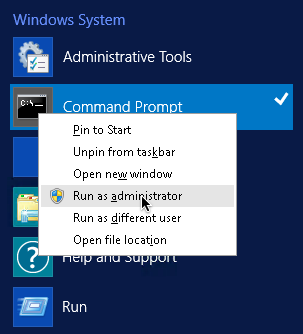 On Windows, you can start a configuration run with the “Run Puppet Agent” Start menu item. This shows the status of the run in a command prompt window. Open source Puppet users can install MCollective and the puppet agent plugin to get similar capabilities, but Puppet doesn’t provide standalone MCollective packages for Windows. 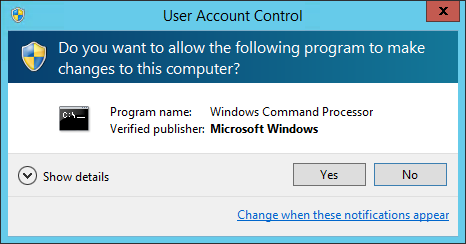 Start a command prompt with elevated privileges. Disable – puppet agent --disable "<MESSAGE>"
C:\> reg add HKLM\System\CurrentControlSet\Services\EventLog\Puppet\Puppet /v EventMessageFile /t REG_EXPAND_SZ /d "C:\Program Files\Puppet Labs\Puppet\bin\puppetres.dll"
PS C:\> New-EventLog -Source Puppet -LogName Puppet -MessageResource "C:\Program Files\Puppet Labs\Puppet\bin\puppetres.dll"
For existing agents, these commands can be placed in an exec resource to configure agents going forward. Note that any previously recorded event log messages will not be moved; only new messages will be recorded in the newly created Puppet log. When running in the foreground with the --verbose, --debug, or --test options, Puppet agent logs directly to the terminal. When CPU usage is high, try lowering the priority of the Puppet Agent service. This can be achieved using the process priority setting, a cross platform configuration option. This can also be set in the Puppet Master.